This is my argument on why I think the 44 magnum revolver COULD be the perfect survival firearm. Now, before you decide that I have lost my marbles and need serious help – let me lay out my thoughts. I am defining long-term as a long time – not very specific huh? Mabie 20+ years? Multi-generational? .22 LR – can be used for a large amount of realistic survival purposes, including small game and defense in a pinch. A huge amount of ammo could be stored but in reality, this caliber falls a bit short for larger game. Shotguns – I call shotguns the multi-tool of the gun world, and like a multi-tool, they can do most tasks thrown at them, but none very well. I would name shotguns as the almost perfect survival firearm because of this fact, they fall flat on ammunition carrying capacity, weight and overall large size. Rifles – If you need to shoot things at distance, and that thing is of any size over a coyote, you need a rifle. The problem is that in a survival context, you will most likely be shooting small game as much as large, and a rifle could be over-kill for many tasks. I prefer a revolver over a semi-auto for a long-term survival situation because semi’s have one component, that if lost, makes the weapon virtually useless – the magazine. Yes, you could stock hundreds, and never run out – but I am talking the easiest solution. I prefer a revolver over a rifle and a shotgun for an every-day weapon because it will be easier (thus more likely) to be carried, and easier to conceal. What do you think the perfect long-term survival firearm is? This entry was posted in FHR Theory, Firearms and tagged 44 magnum, bug out, Firearms, guns, Prepper, shtf, Survival, Teotwawki. Bookmark the permalink. 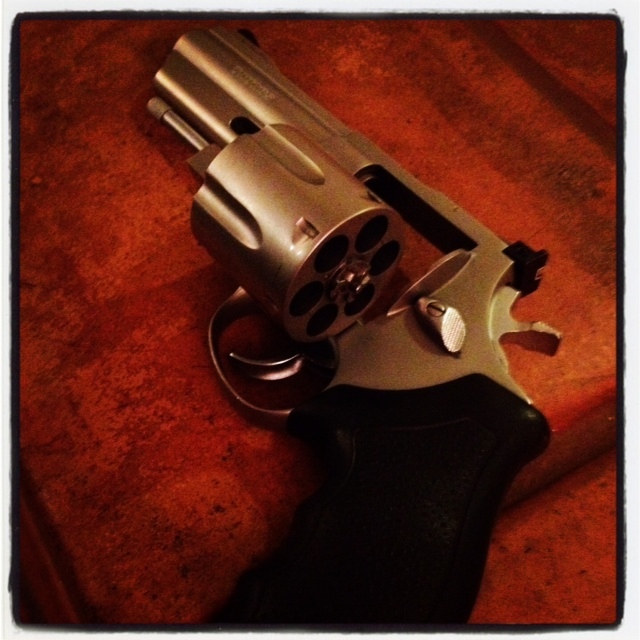 4 Responses to The .44 Magnum Revolver – The Perfect Long-Term Survival Firearm? Your appraisal of the 44 mag is good and I am in agreement with you. Most people have the visions of Dirty Harry with his 44 mag. However they are very manageable if you reload. Which is how you will truly get the most out of the gun. You talked about shot shells, Speer makes shot shell capsules for reloading and they work great, I highly recommend them. For practice the 44 special can be a lot of fun once people find that the recoil very comfortable to shoot. 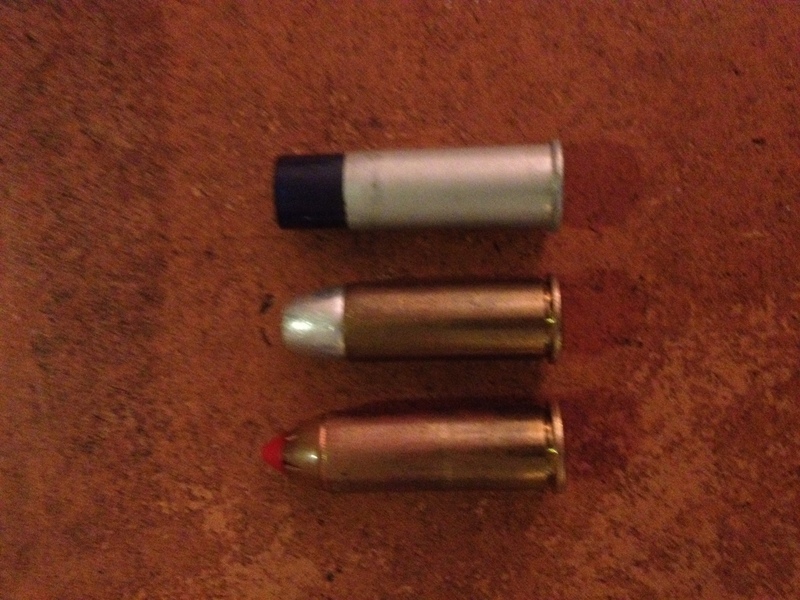 One last note is that I like big bullets, you would be absolutely amazed at how well a 300 grain bullet does to things. BTW Don’t forget a companion 44 mag rifle they are sweet. Thanks for your comments! You are correct all around – I have started reloading (but not ventured into the 44’s wheel house yet) and will enjoy experimenting with my own full power, special, and capsule rounds. I have been keeping my eye open for a good 44 lever action as a companion rifle, but none have tempted me enough to buy. Perfect choice! .44 mag, 6 inch barrel, blued S&W. 90% of my hand loads are hard cast of lead, tin and wheel weights, 250 grain Keith bullets in .44 special cases at 1,200 fps (Elmer Keith’s load). 10% of my .44 loads are in .44 mag cases. I put a heavy crimp at the crimping groove. I have killed many big game animals with this .44 special load. The cases last for many reloads. The .44 special and .44 mag loads are extremely accurate for those good pistol shooters who never flinch. Never flinch – the secret to pistol shooting. If, as you say, you’re thinking 20+ yrs, multi-generational… I think the best possible weapon is a double barreled smooth bore flintlock in about .75 caliber. It can fire anything from heavy ball to birdshot, including two different loads in the two barrels. I can literally make ammunition from scratch. I’m a machinist with some experience in a forge, I believe I could make repairs and possibly even replacement parts, depending on resources available. It’s absolutely the least likely firearm to be outlawed or seized, in fact if it’s hung over a mantel people will assume its decorative and inoperable. It is dramatically lacking in range and ammo capacity, but I’m not Rambo and we’re talking about a workhorse, not a soldier’s weapon. Incidentally, I own a .44mag revolver, and it, paired with my best .22 rifle, would be my choice for spending a couple years in the woods, so I don’t think the author’s premise is nuts. However, assuming you’re not in deep woods and may be scrounging and trading ammo, I’d look at one of the Ruger revolvers with the swappable cylinders that will fire .45Colt/.45acp/.45mag or .357/.38/9mm. The .45Colt, in particular, can be hot loaded to .44mag territory, that’s about how the cartridge was developed, IIRC.